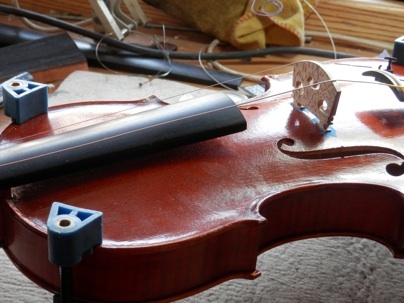 During my placement, I was setting up one of the violin I made. 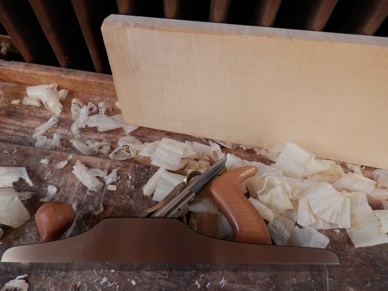 As the elevation had changed, I had to remove the fingerboard, shoot the neck and re-fit the fingerboard. I then made a nut, fitted the pegs and made a bridge and soundpost for the instrument. It was really interesting for me because even though it is the same job I’ve been doing at college, there are some tips and methods that I learned from Marc.